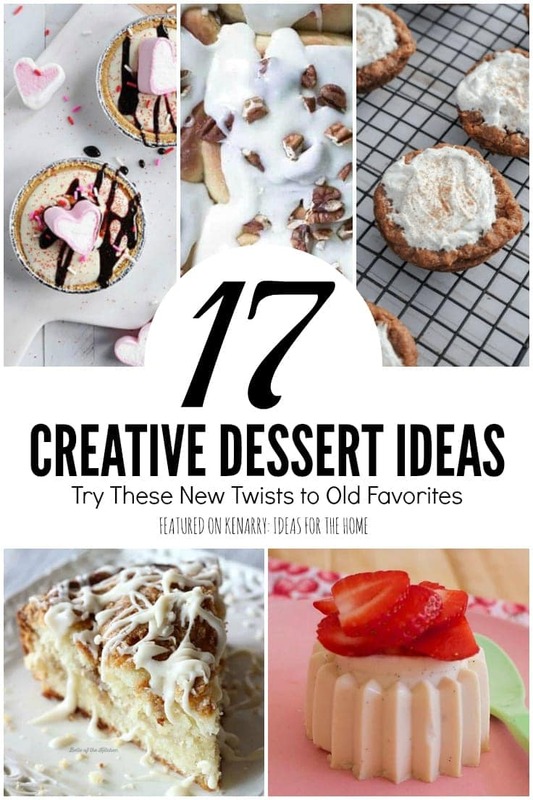 There is something fun and new about each of these creative dessert ideas – can you pick them out? Choose your favorite recipe and make something new. Sometimes, you just want to eat something sweet. Others, you have obligations for a bake sale or a classroom party. No matter why you need a new dessert idea, I have you covered. 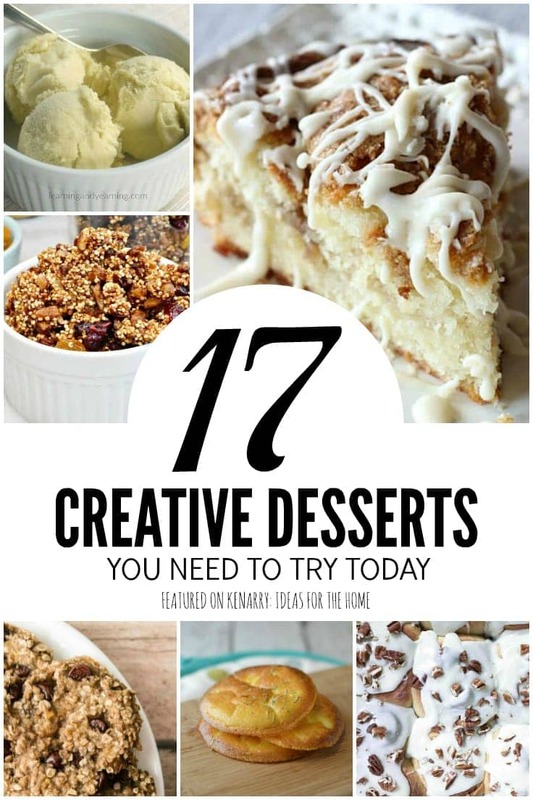 All of these creative dessert ideas are perfect for any occasion. 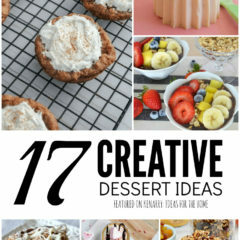 My favorite thing is that all of these creative dessert ideas have a fun little twist! Break out of the ordinary and try something new. Looking for a new way to use that fresh rhubarb growing in your garden? You’ll be delighted with homemade rhubarb ice cream. It has a hint of tart, just the right amount of sweet, and all that glorious creaminess. 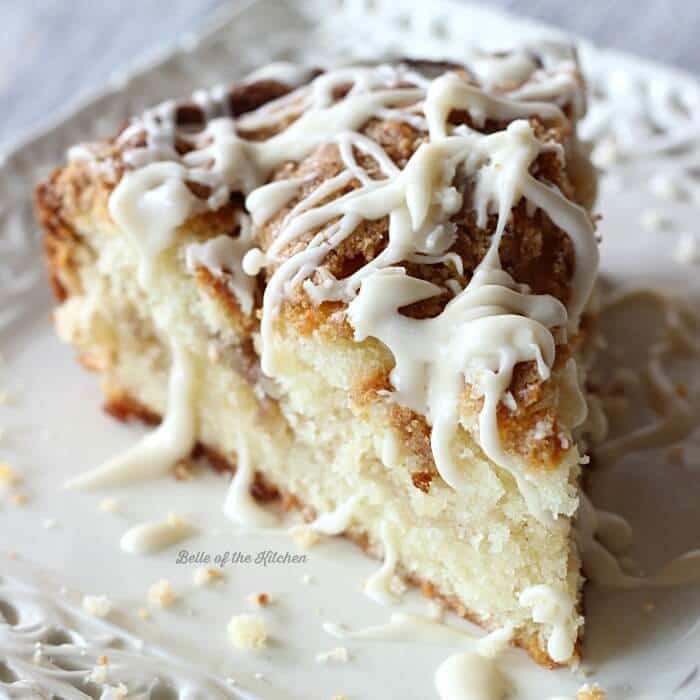 Have you ever tried Greek Yogurt Coffee Cake? As the name implies, it’s a moist and delicious coffee cake recipe made with Greek yogurt. It’s sprinkled with a crumbly streusel topping then drizzled with a sweet vanilla glaze. 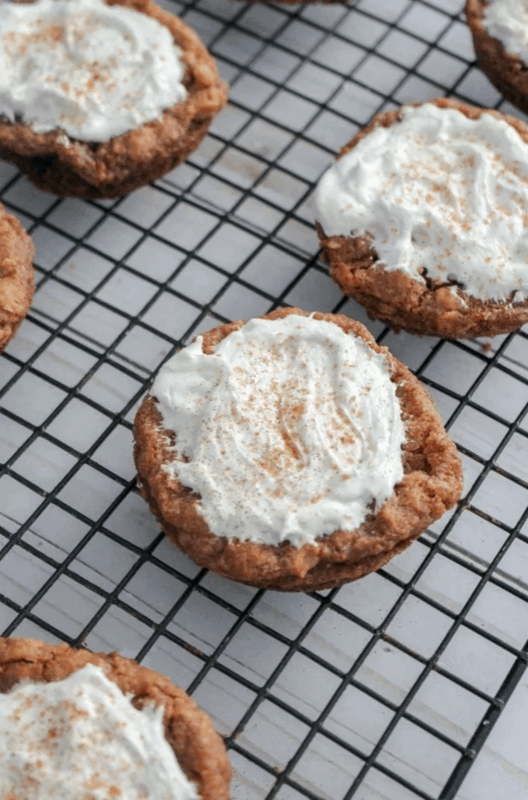 If you want to break out of the box, make these chewy and perfect oatmeal cream pies! They taste way better than their boxed counterparts. 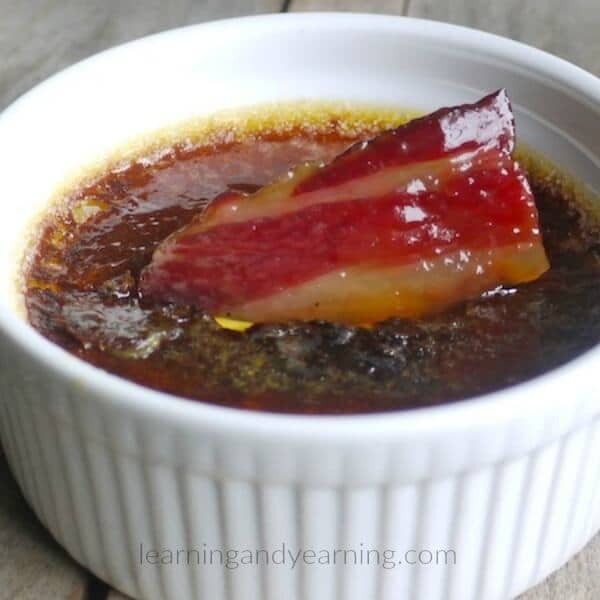 Top Crème Brûlée, that glorious custard topped with caramelized sugar, with a crisp piece of bacon that has been candied with maple syrup and you’ll think you died and went to heaven. For real. Nothing says summer like peaches and ice cream, so how about this recipe for Peaches and Cream Ice Cream Bars! Start with delicious ripe peaches, rich cream, add a few more ingredients and you will be good to go. This recipe for peaches and cream ice cream bars is fast, easy, and sure to be a hit! 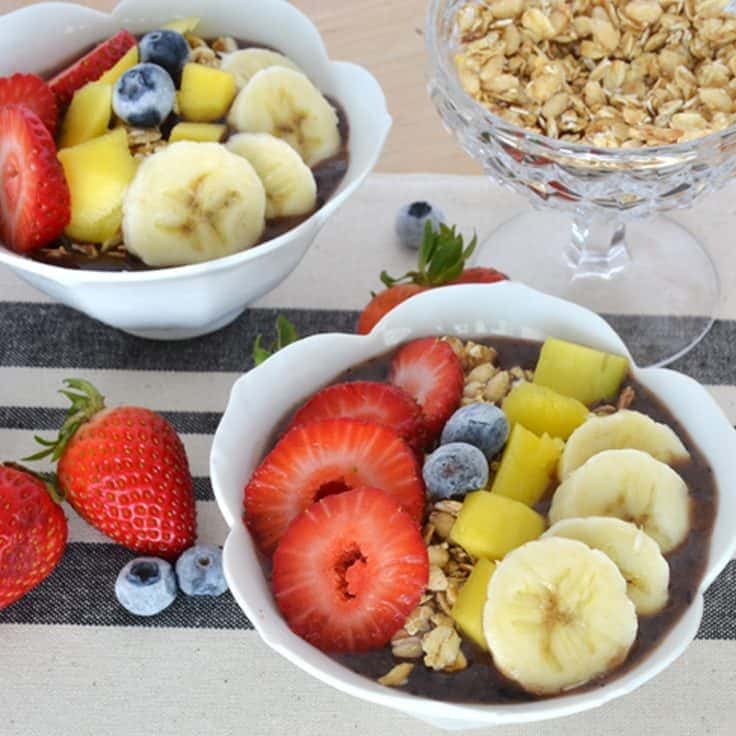 These Acai Berry Bowls are a delicious and nutritious treat. Packed with fresh flavor, they are a great snack or breakfast idea. It’s an easy way to turn a healthy smoothie into a meal. Grab a spoon! 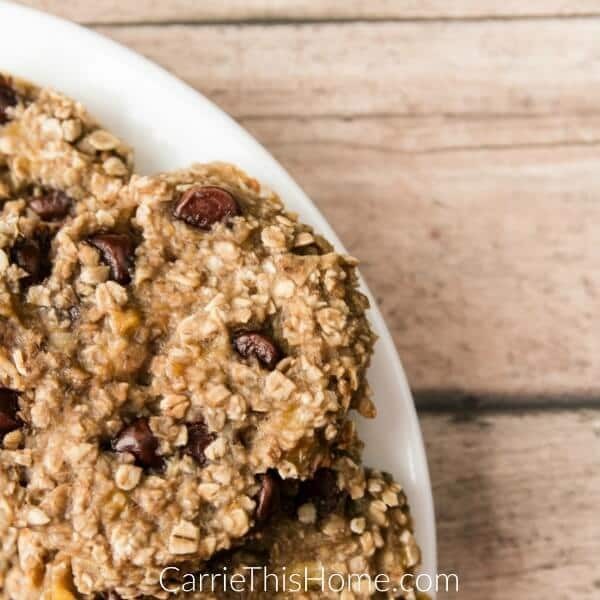 These easy breakfast cookies are perfect for a quick and healthy on-the-go breakfast. Heat up a couple in the microwave for 10 seconds and you’ll have a healthy start to your day! Plus they’re so delicious you won’t notice they’re healthy. That means you’ll have a great excuse to eat more than two of them. Really–how can you go wrong with bananas, oats and chocolate chips?!? 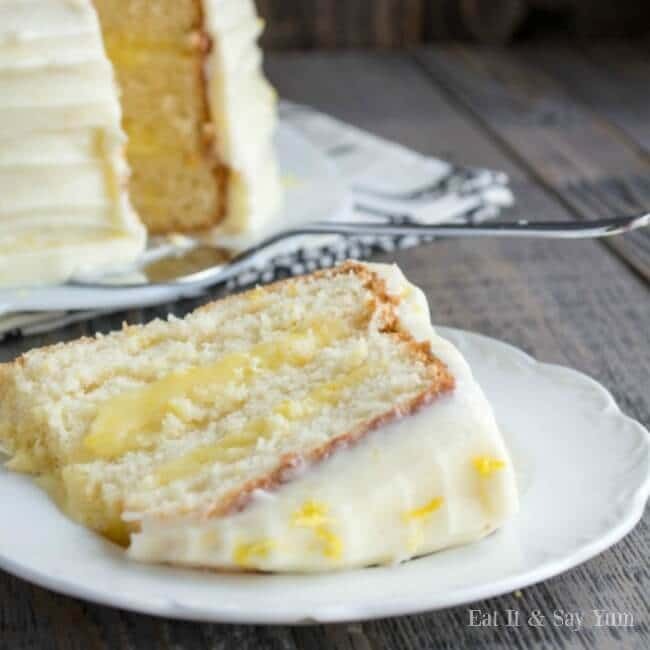 This Lemon Chiffon Cake is a true treat that is bursting with lemon flavor. The cake is a lemon angel food cake, and it is filled with layers of lemon curd and frosted with a lemon cream cheese frosting. The perfect cake to brighten any day. 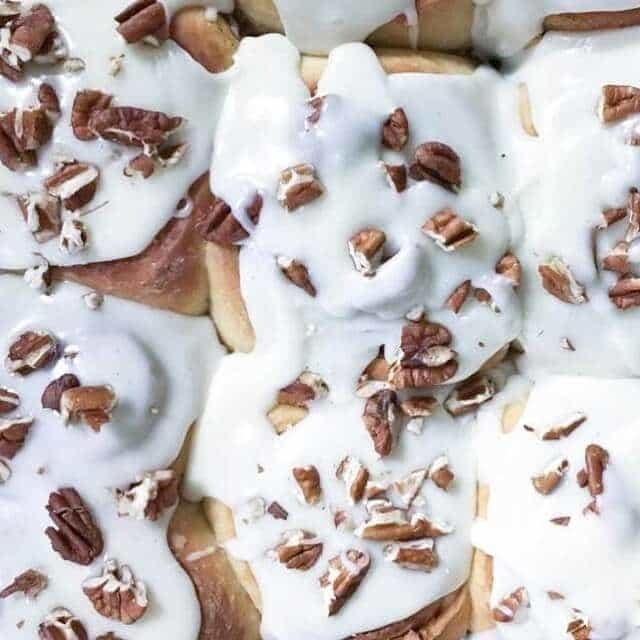 These Overnight Cinnamon Rolls take a little time but they are so worth the time and effort. This recipe was inspired by Alton Brown’s Overnight Cinnamon Rolls Recipe. The rolls are filled with butter, brown sugar and cinnamon and topped with a cream cheese frosting. 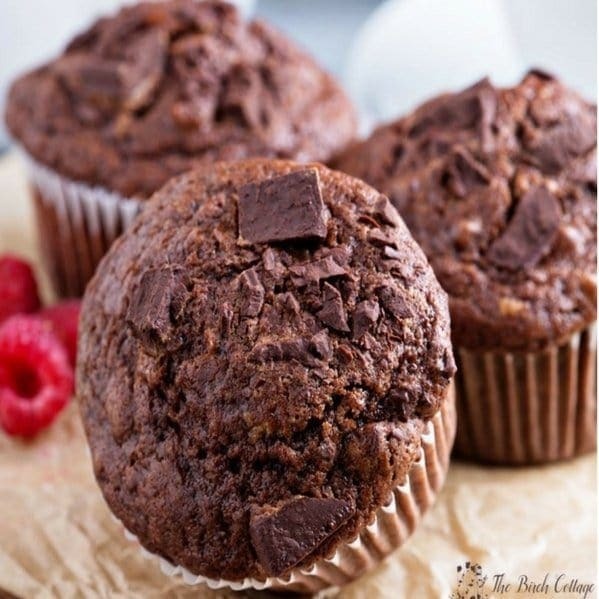 These Chocolate Chunk Muffins are not just a healthy alternative to chocolate muffins, they also taste amazing and are oh so decadent! These muffins get their sweetness from unsweetened applesauce and Stevia. Instead of oil, they use Greek yogurt. I know, it doesn’t sound like it’s all that tasty, but they really are absolutely delicious! 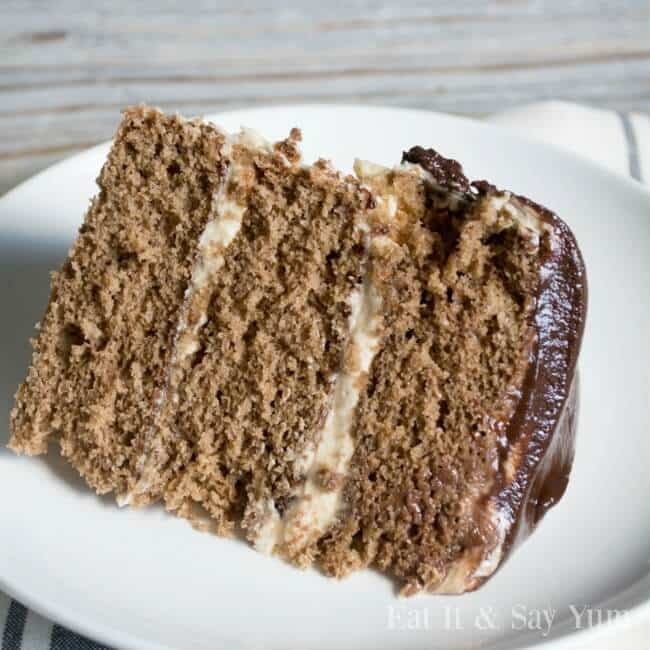 This three layer chocolate cake is paired with a peanut butter buttercream and it is delicious. It also has chocolate ganache over the top and dripping down the sides. It is a true delight for all who love chocolate and peanut butter together. For those who are gluten intolerant or eating in a way that doesn’t allow traditional grains, you’re going to LOVE cloud bread. It is gluten free, high protein, and only 4 ingredients! 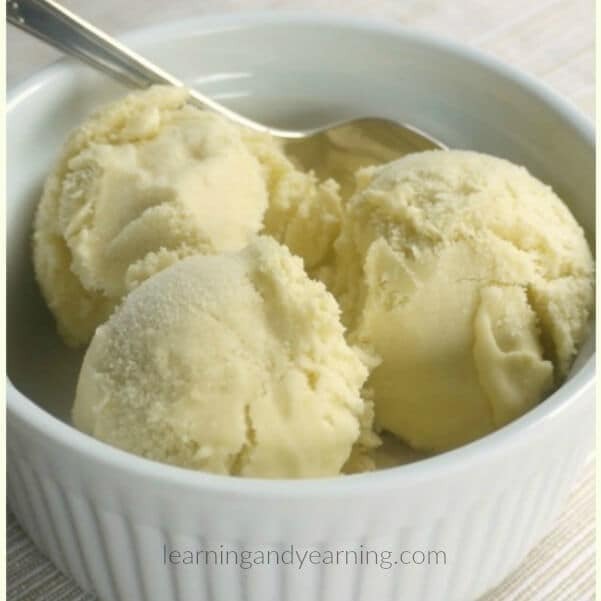 Whip up the most simple and delicious dessert in no time at all with this recipe! 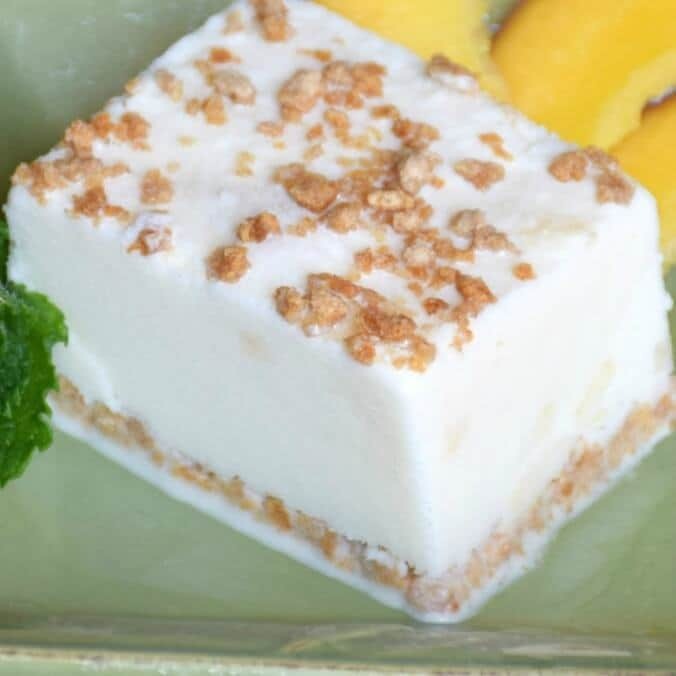 This White Chocolate Mousse dessert is sure to put a smile on anyone’s face. 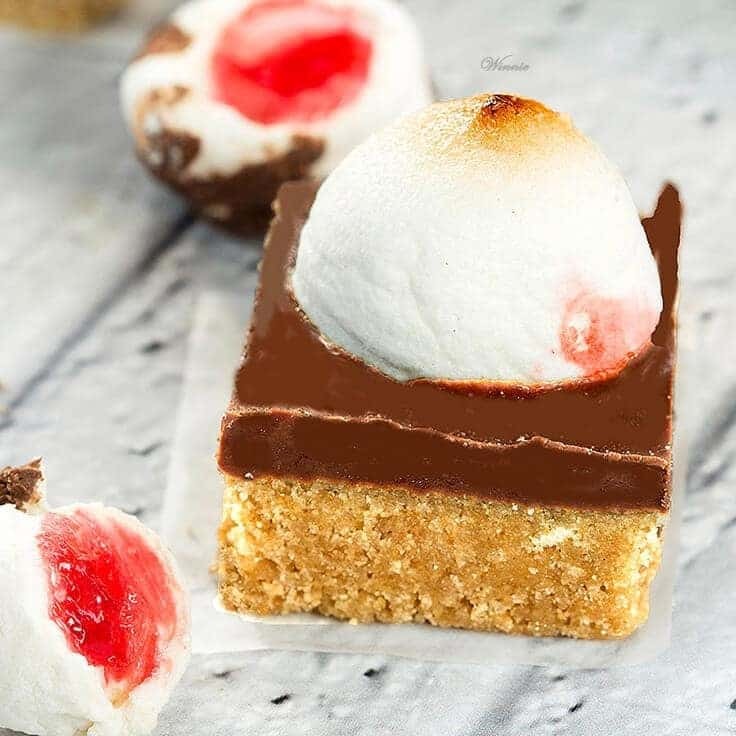 The perfect treat for all occasions, S’mores Bars have a shortbread base and chocolate layer topped with strawberry-jelly marshmallow. They’re super easy to make and don’t require baking. 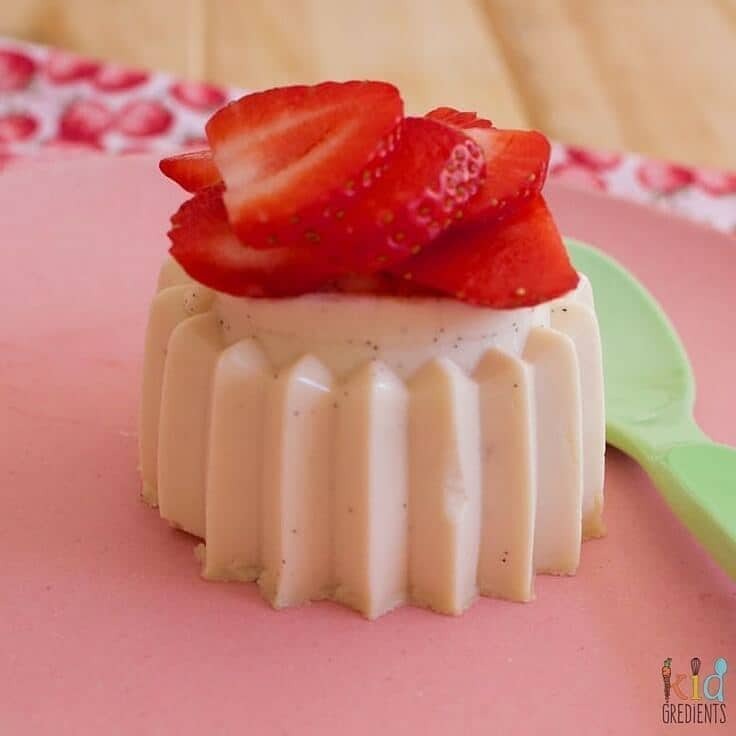 This delicious, easy to make pannacotta is also kid friendly. So yummy and so quick to make you don’t need to save it for special occasions! Dress it up how you like and enjoy the creamy yumminess. Simple enough to make as a weekday dessert. Reach for a healthier snack – bake up an easy batch of Quinoa Pecan Granola! 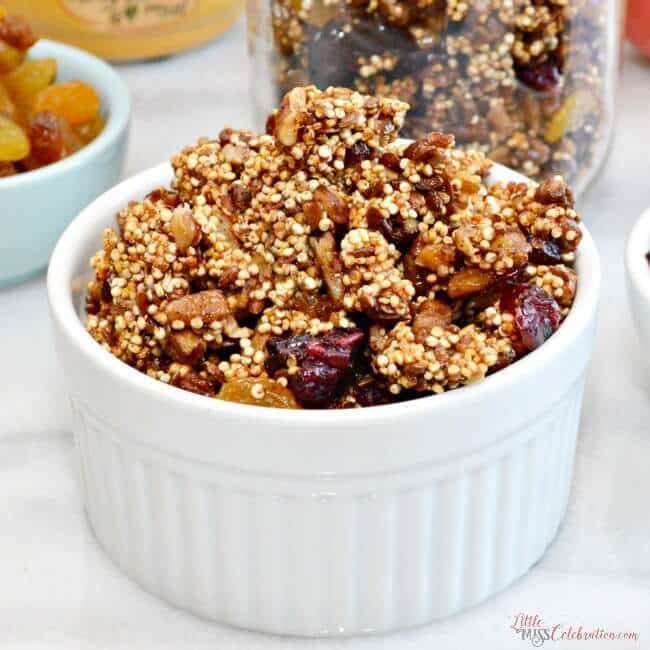 A satisfying mix of quinoa, nuts and dried fruit, this better-for-you snack will satisfy a craving for sweet and crunchy. The honey and cinnamon create a mouth-watering aroma when baking, and you’ll find yourself happy to grab a handful for munching! 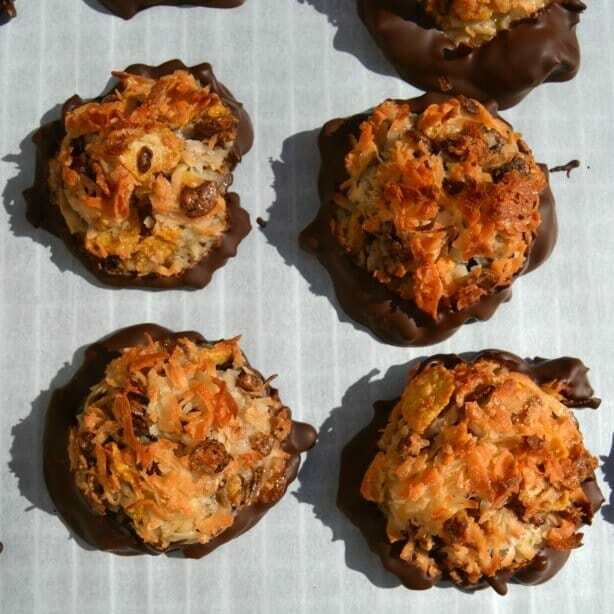 These scrumptious homemade coconut macaroons come with a little something extra in the recipe and they are dipped in chocolate for a decadent finish. With just 6 ingredients, you won’t believe how easy these gluten free coconut macaroons are to make! Did you find a favorite? 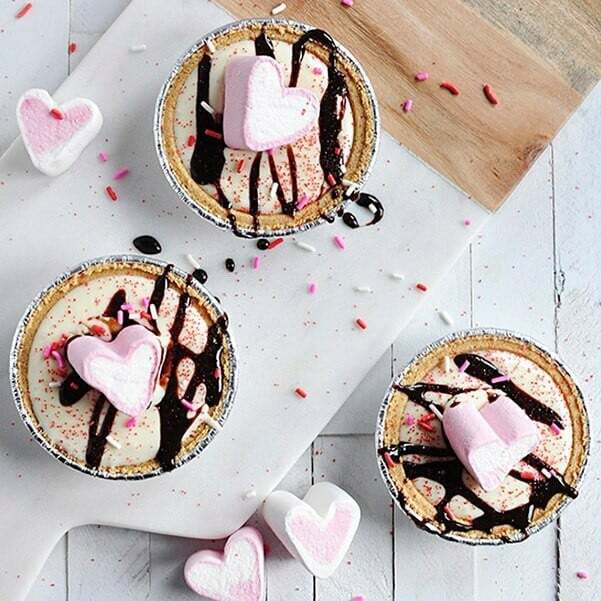 These dessert ideas are wonderful for birthday parties or even late night snacks. With a fresh little twist on old favorites, they are the new ideas you needed. 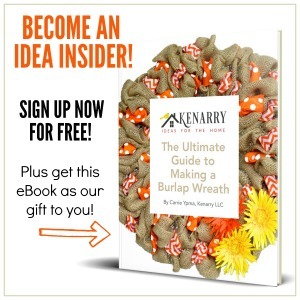 Here are some more dessert ideas from Kenarry that you should try next!